How do I change the IP address on my router? Example: You are also using other networking equipment and want to change the router’s IP address in order to avoid any IP conflicts. Step 1: Open your web browser and enter http://dlinkrouter or http://dlinkrouter.local into the address bar. 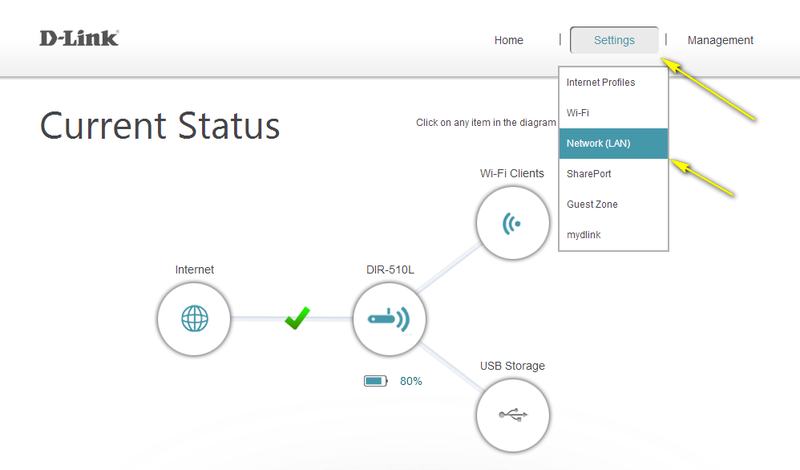 Step 3: Move the cursor to the Settings tab and then click Network (LAN). 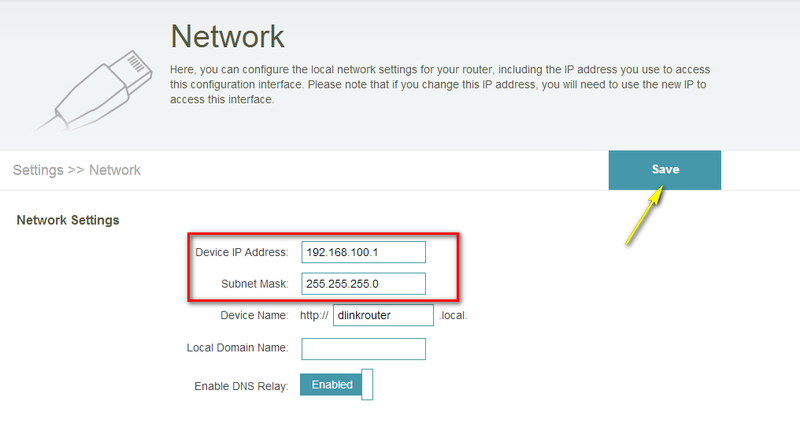 Step 4: Under Network Settings, type in the router´s new Device IP Address and Subnet Mask. The IP address configured here is also the IP address you use to access the web-based management interface. If you have multiple D-Link routers, you can also change the name of the device, which is also the address which can be typed into the web browser address bar to access the configuration interface (default is http://dlinkrouter.local). If you change this device name, you should use the new device name in place of “dlinkrouter” when you type the device adderss in to your web browser’s address bar. 9 lidem se to zdá být užitečné.